Talk about exceeding expectations. Is this the best 'Rocky' movie yet? In 1976, when Rocky Balboa was introduced to the world (by writer/star Sylvester Stallone and director John Alvidsen), he represented every man and woman who strived for greatness in a world that expected nothing of them. He was the ultimate underdog back then and, to most of us, still is today. Now, nearly 40 years later, the Italian Stallion is training a new underdog boxing hero ready to prove that it’s time to pass the torch. His name’s Adonis Johnson, he’s played by Michael B. Jordan, and he’s the hero at the center of the seventh film in the Rocky series, Creed, directed by Ryan Coogler. Adonis is the son of Rocky’s dead former nemesis turned best bud, Apollo Creed, but hides his paternal lineage so that he can find his own path to glory. He grew up loving to box just like his dad (though he resents Apollo for reasons he keeps close to his chest) and moves to Philly so that the one and only Rocky Balboa can train him to be the best boxer in the world. The aging former champ reluctantly agrees, though he soon discovers that a fight of his own awaits, this time outside the ring. 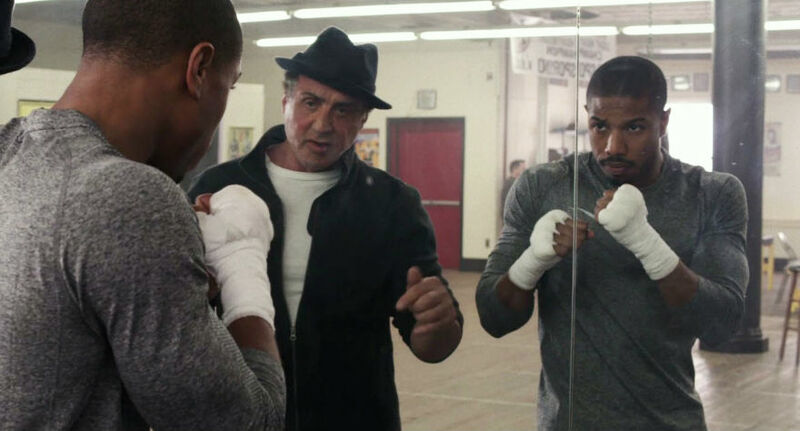 It’s a simple hero’s tale Coogler, co-writer Aaron Covington and spiritual guide Stallone are working with, though it’s the finer details—the psychological nuts and bolts of the characters, the searing performances, the showstopping camerawork—that make Creed the best Rocky movie since the character’s debut. Adonis first meets Rocky at his restaurant, Adrian’s, named after his late wife whose absence has left a hole in the former world champ’s heart. Given Rocky’s tight relationship with his father, Adonis decides to address him as “unc” as he picks his brain for boxing knowledge. For two actors who come from completely different eras of Hollywood and schools of acting, Stallone and Jordan match up incredibly well as mentor and pupil, perhaps even surpassing the chemistry Stallone had with Burgess Meredith. There’s always been a fiery energy to Jordan’s performances, from his early days in The Wire and Friday Night Lights to Coogler’s own Fruitvale Station, so he’s a perfect fit for a story about a young man learning to fight smart, not angry. The issue with Adonis is, well, it isn’t a simple one. He seems to become most emotionally distressed at the thought or mention of his father, but it’s not clear exactly why his resentment runs so deep. The only way Rocky has any hope of unlocking Adonis’ potential is by getting to the root of his uncontrollable aggression, which manifests itself as carelessness in the ring. It’s that same carelessness that got Apollo killed in the squared circle, and Rocky wants no part in helping his best friend’s son meet the same fate. When he receives the news that he’s facing life-threatening health crisis, his will to guide Adonis runs dry. “It was all in our heads,” he says to the heartbroken kid. “We aren’t family.” Stallone’s been playing Rocky for decades, and he hasn’t felt this in-tune with the big lug since the first movie. This is where the relationship balances out. Adonis refuses to let his mentor call it quits on life by refusing treatment. He strikes a deal: “If I fight, you fight.” The franchise’s classic montages return, with Adonis sprinting all over town and honing his footwork with his coaches and Rocky coping with the side effects of chemotherapy. Adonis isn’t as jacked up and bulky as his dad and Rocky were, but he makes up for it in speed and ferocity, a dangerous gift he works hard to harness. The training’s all in preparation of Adonis’ unlikely title fight in Liverpool with unstoppable Brit “Pretty” Ricky Conlan (ABA heavyweight champ Anthony Bellew). Providing a welcome, steamy distraction from the rigors of fight camp is his musician downstairs neighbor, Bianca (Dear White People‘s Tessa Thompson, channeling Lisa Bonet in High Fidelity). Something that makes Rocky Balboa such an interesting character is his narrow-minded devotion to his wife. Adrian is his everything and has been from the moment they met. Thompson is terrific as Bianca, but the character doesn’t feel as vital to Adonis’ journey at this point. In future installments, her role will likely be expanded and tread new ground, but for now, she takes a back seat to the real object of Adonis’ obsession: Apollo. That’s the key here, Adonis’ internal fight with his father’s legacy. Legacy, not memory. They never met: Adonis was born of an affair, his father dying in the middle of the ring before he was born. How haunting it must be, to live under the long shadow of a man you never knew. How consuming the appetite for violent release must be. Creed‘s story comes from a very personal place for Coogler, and you can feel it. 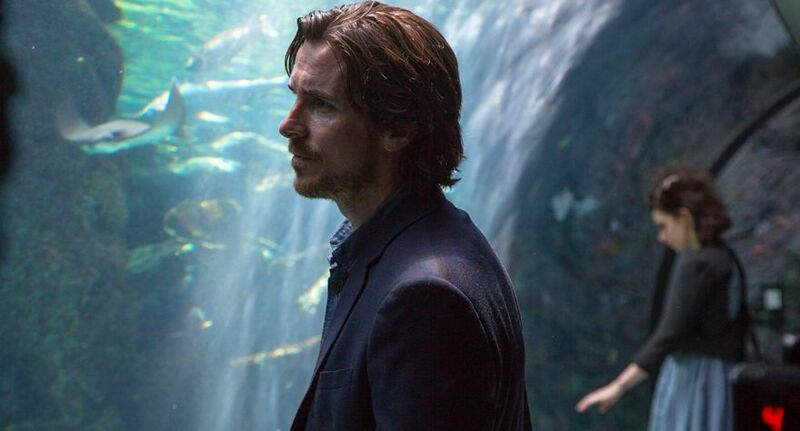 The young Bay Area director took a long-running franchise and infused it with his own life experience, and that’s a wonderful thing. It’s a triumph in that it sets a precedent for other filmmakers who work in the franchise bubble to liberate themselves artistically from the clutches of legacy, lineage and fan expectation. Like Adonis, Coogler’s finding his own way. The character work isn’t what people will see Creed for; it’s the fights, of course, and what Coogler and his team deliver are some of the most dynamic, vicious, tactile boxing scenes ever filmed. Honestly. It sounds like hyperbole, but these fights knock everything else we’ve seen in the Rocky series so far clear out of the ring. An early exhibition fight is done in one continuous shot, the camera as fleet-footed as Adonis, staying close so that we can see the sweat dripping down the back of his neck. The big finale is all about virtuosic editing, staying in the pocket when Adonis is dipping and dodging against the ropes and glimpsing key characters in the crowd at the perfect moments. To say the fight scenes are thrilling is an understatement; by the end of the movie, I was in tears. Talk about exceeding expectations.